← The Ten Favorite Screen Character Blog Hop! 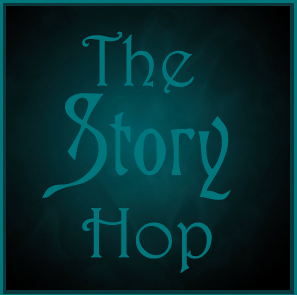 Thank you, Tim and Valerie Hemlin, for asking me to jump on board for this blog hop with the theme “story”. What does story mean to you? When I hear about campfire stories, I automatically think scary! If you happen to read this post, click the link at the end. It will take you back to Goodreads, where you’ll find more links to more stories. Enjoy! Okay, picture it again…you’re sitting around that dwindling fire, cuddling up with a loved one, waiting with anticipation to be entertained. Well, it may sound like a familiar tune, but there’s nothing like real life ghost stories to keep terrified eyes pinned awake at night. Now get ready, because some people think I’m a bit off my kilter regarding ghost stories. However, ghosts have been a part of my life since I was born, and that’s not fiction. Let me start from the beginning. I was born in Michigan and lived in Detroit (blah blah blah) in what my parents thought was a charming little red house (no white picket fence) that had been previously owned by a family whose son was well acquainted with the darker side of the law (aah, now the story gets better). Well, the boy was born in our house (just like me). Later, my oldest brother dug up some of the boy’s treasures he’d buried in the dirt floor of our garage when he had still lived there. Sadly, as a teenager the boy had died in a car accident around 11 pm. Soon after, we had frequent ghostly encounters at the exact…same…time, and they weren’t (Casper the ghost) friendly. They scared the living daylights out of my parents so badly, they locked us in our rooms at night to keep us safe. Keep in mind, at that point, they didn’t know if it was a ghost or someone trying to break into our house. Many times, the gas stove turned on by itself, furniture moved, lights turned on and off, odd things could be heard, and my parents always held a strong recollection of an evil presence. In fear, my parents would call the police, thinking someone had broken in, but the police could never find any trace of a break-in. My parents moved our family out of that house when I was two-years-old. Interestingly, my brother recently visited the house and sent me a picture. It looked eerie enough, especially when I saw a shadow on the roof that looked like an evil teenager. My brother scoffed when I told him to look, but when I showed it to one of my daughters (I hadn’t given her a hint of what to look for) and asked her what she saw, she said it looked like a scary demon boy. Creeeepy! We lived in one house after that in the state of New York, but then soon after moved to another house nearby. My parents also bought the Colonial directly across the street from us. Of course, I was in luck, because the family that rented the house from my parents had a daughter close in age to me. Well, one day, they told us the house was haunted and that they had named the ghost Joe. They would tell him to do things like turn on or off a light. They heard sounds like someone was in the room. I’ll never forget when their daughter invited me to look in her bedroom where there was access to the attic. I saw footprints on the ceiling, and when I crawled up the ladder to peek into the attic, there was a blanket on the floor placed carefully down like a bed and a rocking chair next to it, as though someone was living there. Let’s just say, she and I never had cozy movie and popcorn sleepovers. A few months later, the family decided to have everyone baptized in a local church. They said after that, they never heard from Joe again. In their defense, they had no reason to make up such a farce. The story didn’t benefit them in any way. Final story: my husband and I have lived in four different houses in the last twenty-one years, and one of them had some pretty crazy things happen after we moved in. It felt like we were the rock plopped into a pond, causing a ripple effect and like we weren’t living alone, like we had awoken whatever else was there. At night, we’d hear the floor creak as though someone was walking around the house. I felt someone touch my back and saw things move. Now you could cast those things off as an overactive imagination. However, other things happened that couldn’t be ignored. A door slammed shut (hard) for absolutely…no…reason. My daughter heard the lightswitch and saw a light shut off, yet no one was there. Another day, when I was home with my younger daughter, a sliding glass door locked by itself, locking her outside. I had been watching her from the kitchen as she pranced in and out through the door. Then she came to the kitchen window and asked me to let her in the house. Sure enough, the door had been locked. It’s not an easy door to lock either. You have to push hard on it first. Once, we had someone staying at the house at night who had never heard any of our stories, and the next day he said he’d been scared, because he’d heard someone breathing and walking in the attic above where he slept. Another (make your heart race and feel like you want to scream) event happened. I was having a dream that this young old-fashioned looking girl in a plaid dress with a bow in her hair was talking to me. She told me she was allowed to visit us, and that her parents wanted to visit also but weren’t allowed. As this dream was occurring, my son woke me up frantic and said he had felt someone touching his arm. Aaaaa!! Luckily, that house seemed to settle down with fewer otherworldly occurrences, and our lives have so far been peaceful ever since. This entry was posted in Uncategorized and tagged #Blog, #Goodreads, #hop, #storytheme, #writing. Bookmark the permalink. I always love a good ghost story–and you gave me three! Some day I’ll tell you about an old graveyard I visited in New Hampshire, where I grew up. Thanks!